For academic staff Level D and above. A formal 'Welcome to the University' along with valuable information and advice on making a successful start to an academic career in a research-led University. Orientation also provides the opportunity to meet other new starters and create networks with colleagues. The program includes a complimentary lunch courtesy of University House. The Senior Academic Staff Orientation is offered twice each year. The Semester 1 offering is held in February and Semester 2 in July. 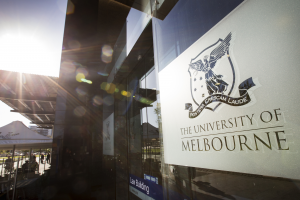 New academic staff teaching at the University of Melbourne are also welcome to attend the Teaching@Melbourne Workshop. Staff who will be supervising graduate research students are required to complete supervisor training either online or face to face. The program includes a complimentary lunch courtesy of University House. The full program will be available closer to the date. Please register via the 'Book Now' button on this page. If you have special dietary requirements, please inform us via email.